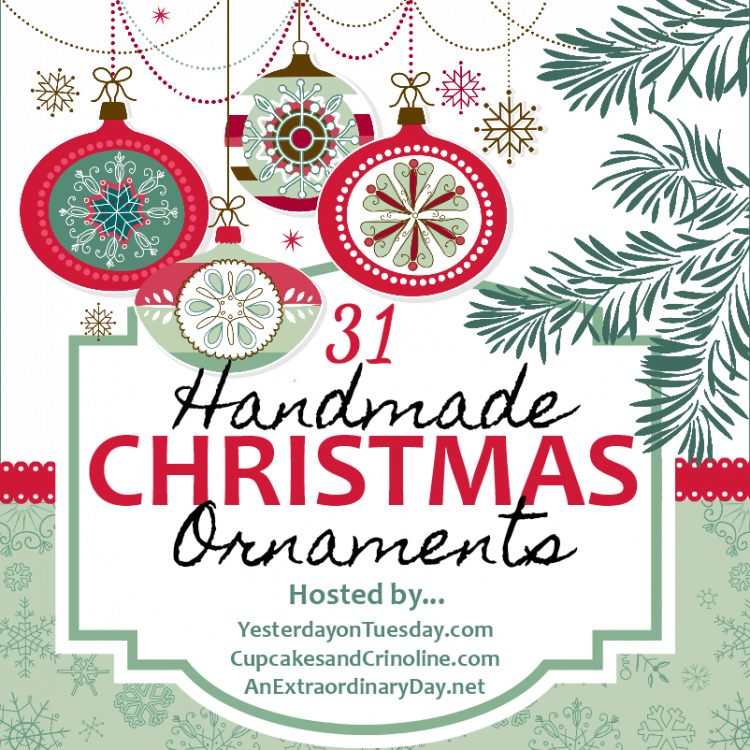 I’m so thrilled to be joining some great blogging friends in a month long Christmas ornament extravaganza! 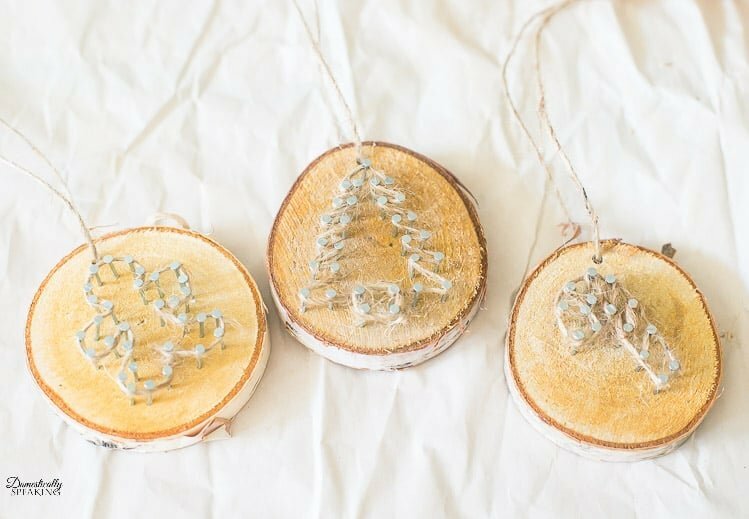 Today I’m sharing how to make your own Rustic Twine Wood Slice Christmas Ornaments. If you love some rustic charm you’ll love these! 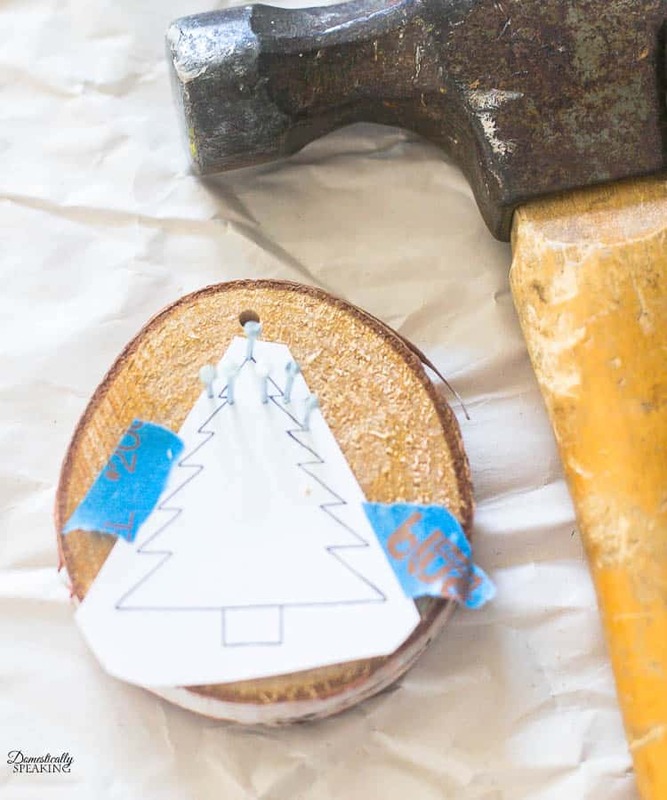 Did you catch the Wooden Tags Christmas Ornaments from Remodelando la Casa yesterday?? Super cute!!! You can find all the others later in this post. A HUGE thanks to Yesterday on Tuesday, Cupcakes and Crinoline and An Extraordinary Day for organizing all this fun!!! 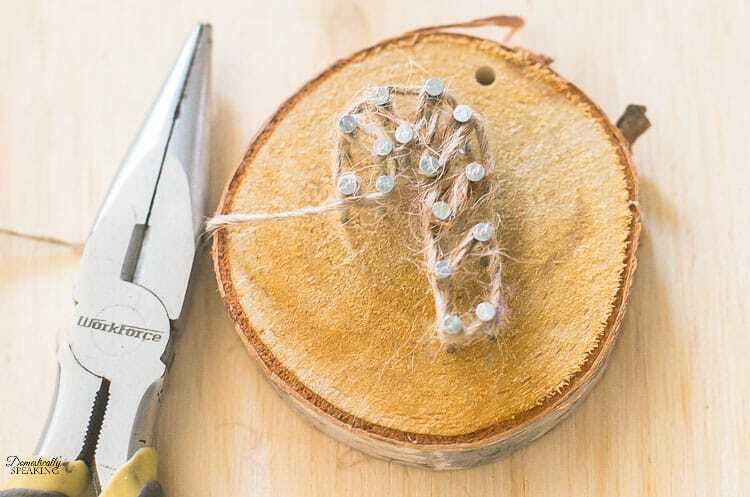 Now let’s get onto this fun, rustic ornaments! 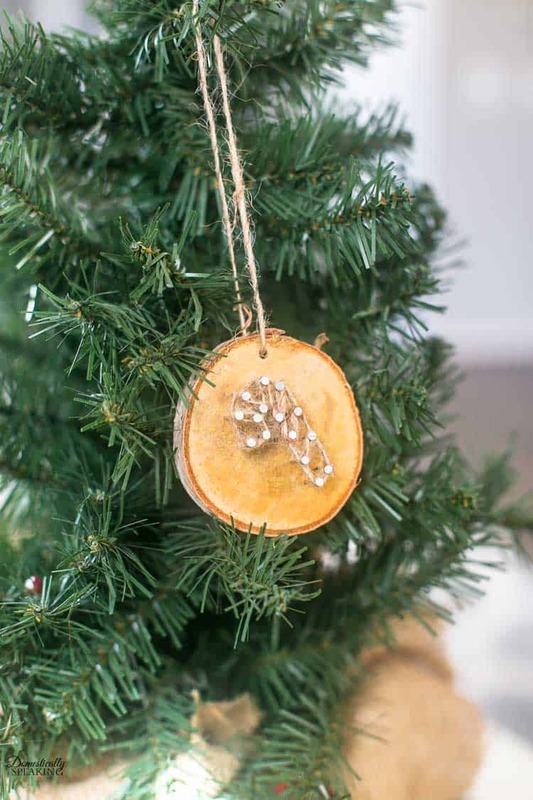 Anyone else just love homemade ornaments? I love to give them, I love to receive them and I think they make great gift tags too. 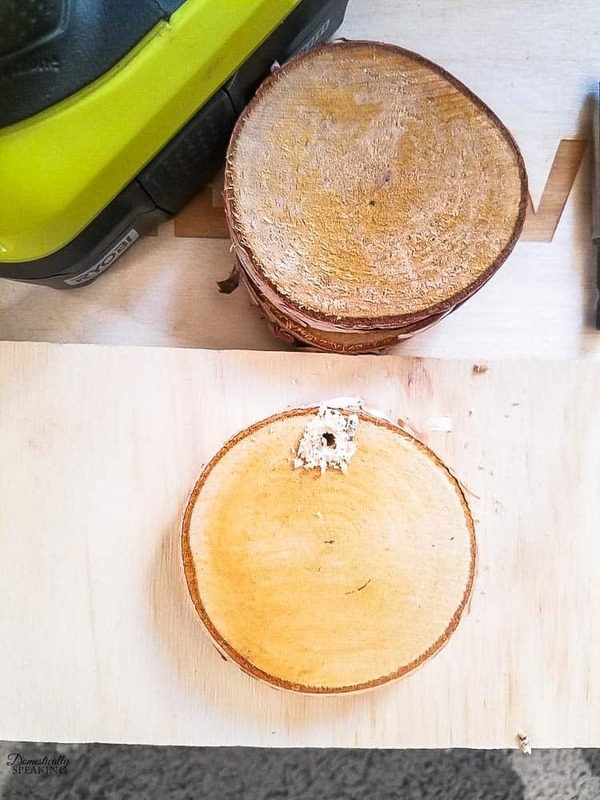 I started by drilling a hole at the top of the wood slices. A 9/64 drill bit was perfect for this. It was big enough to make slipping some jute twine through the hole relatively easy. Next step is attaching your printout on top of the wood slices. I used painter’s tape to hold the paper in place while hammering. Now it’s hammer time! 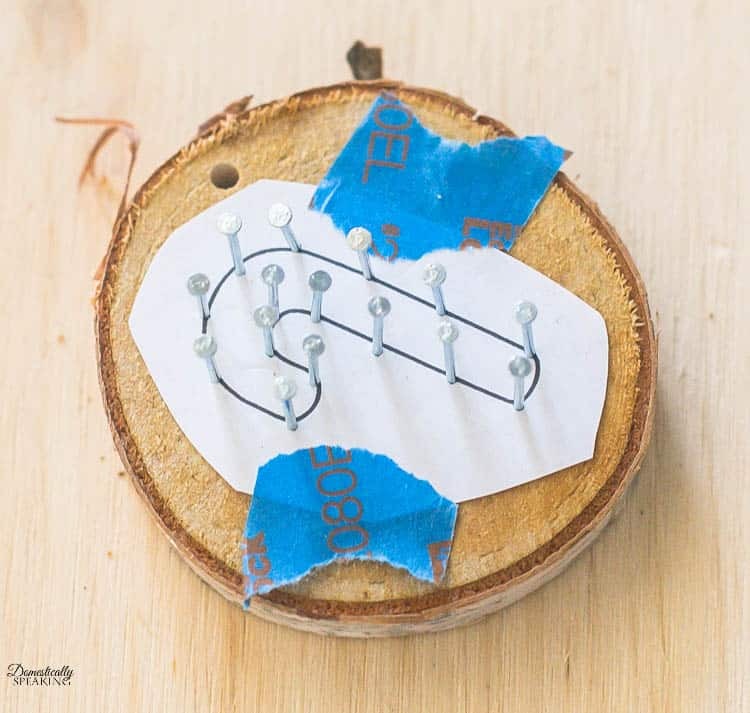 You want to study your printout to determine where you will be placing the nails. Images with straight lines are the easiest. If you’ve got curves you want to space them close enough to capture the curves. Then it’s time to attach the twine. I picked an outer edge nail to tie off and then worked my way around. If the space is tight a needle nose pliers can be helpful. Once you’ve finished around your shape you tie off the twine on one of the nails. 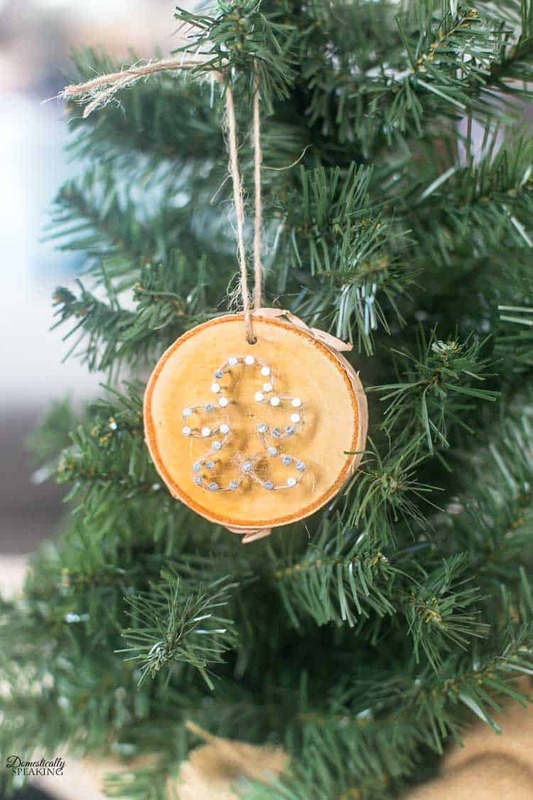 And you’ve got this adorable, rustic Christmas ornament! and a Gingerbread Man. The possibilities are endless! I hope you get a chance to make some yourself this upcoming Christmas season. Now check out all these amazing, inspiring Christmas ornaments from my blogging friends… and tomorrow Barb, from The Everyday Home will be sharing hers! What a great idea Maryann! Rustic and wonderful! OMG, these are fabulous. I got to try and make these, because they are so beautiful . What a gun looking project. Oh my goodness, Maryann! You are so creative. I love the rustic vibe to these. These are adorabe. What a great idea! These are so clever, it would be fun to have a party and make these! Rustic appears to be very popular this year Maryann and I love the uniqueness of these rustic twine ornaments. Looks like a great project for the kids to help with too! These ornaments are so much fun! They would be great for the kids to make too! Thanks for sharing ! What a creative way to decorate your Christmas tree. Thank you for all the tips on how to make my own. 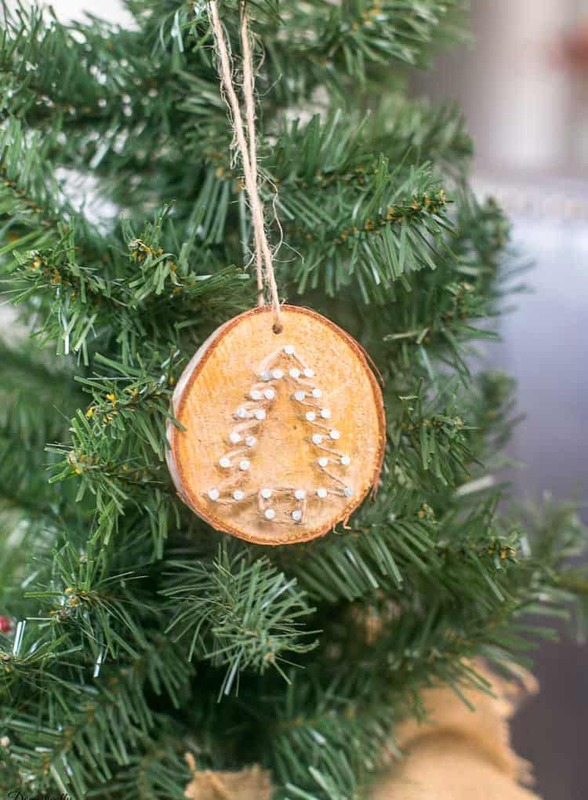 I can imagine how pretty a Christmas tree would be filled with your rustic ornaments. These are so cute, what a fabulous idea!!! Que lindos! Ótimos para decorar minha casa de campo, estava a procura de algo assim, gostei muito das dicas,parabéns. These are so clever and would make a fun project for a group of friends or teens. YES! Great teen get-together activity! These are all so cute! Love that rustic feel! Maryanne, I am totally smitten with these adorable ornaments. I have the wood… need to give them a try. Have fun making them Diane!! These are just the sweetest! Haven’t seen the nail crafts done this small…love! I’m not sure which one I like best. They all are so cute! This would be a fun project to do with the kids. Yes! I know my girls would love making them!